In Selma, Alabama, the magnolias are already in bloom. But up here, a little further north, our magnolias stubbornly remain in bud form. By the way–happy leap year, everyone! I like leap years. They’re like blue moons. Or lunar eclipses (yeah, there was one last week, and I failed spectacularly in getting a decent photograph of it). P.S. I know the left side of the magnolia bud is wayyyyy overexposed, but I’m just happy my camera finally decided to get the dang thing in focus. I tried photographing this same bud a few weeks ago and had nothing but a bunch of blurry blobs to show for it. This time, only half my photos were blurry blobs. Why? Why, supermacro mode? I thought you loved me! 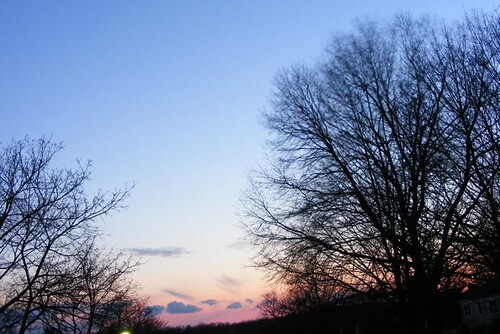 The days are getting longer! Last time I walked outside at 6:20PM, it was ENTIRELY dark! I have featured this building in an older post, but it was dark, and you only see the side in that one. 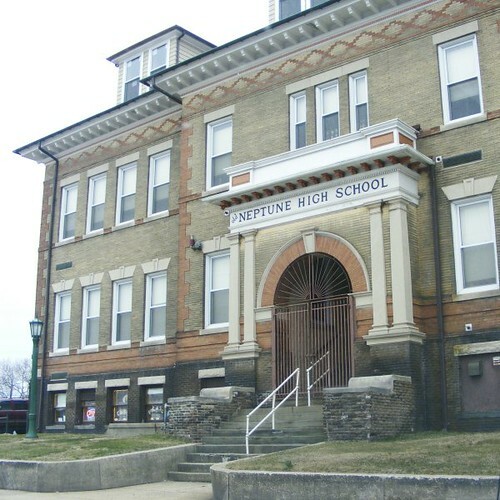 So here is the Jersey Shore Arts Center (which used to be the Neptune High School, as you can see) in Ocean Grove/Asbury Park. Holy crud is this late. And I’m STILL rushing to throw it up here before it becomes February 27. 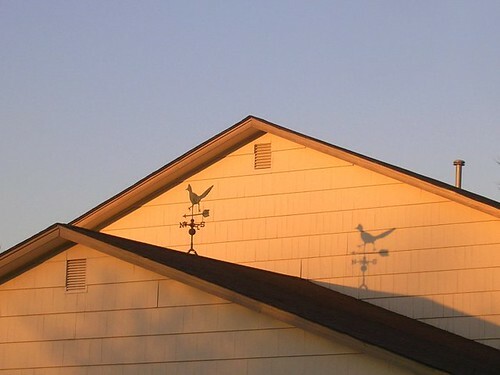 Weathervanes in suburbia! Rare, but they exist! The thick coverlet of snow, after several days of above-freezing temperatures, has been reduced to a few sad little baby blankets randomly dispersed around the town. 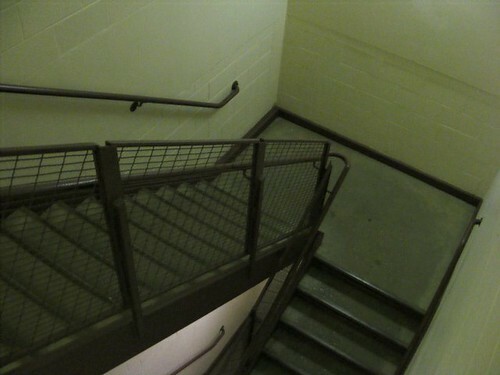 So, instead of showing you sad little baby blankets, I give you a stairway in Edison Science Hall (Monmouth University). First off– sometimes it’s fun to see how people find this blog. This was taken a couple days ago when it was still actually snowing. In an attempt to protect my camera from the elements, my right hand was serving as a roof/shelter for the camera in between shots (so the back of my hand was facing the sky). At some point, I noticed this lovely little design on the back of my glove and managed to take a photo of it. So I took a macro photo of my right hand without the assistance of a tripod. Remember, kids, the shutter button is on the right side of the camera. 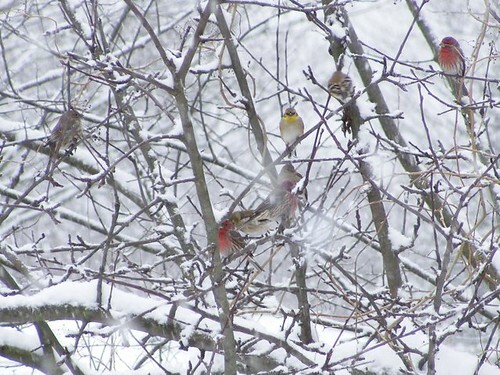 The finches that frequent our feeders flew away, fearing my footsteps. Thankfully, they didn’t fly too far, and I have a 10x optical zoom on my camera. 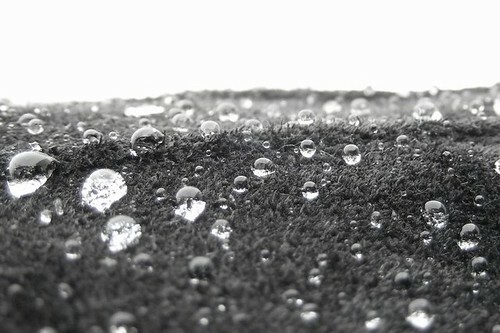 Unfortunately, I have no lens hood, and things (like snow) get on my lens very easily.